Nelson is a respected speaker and is sought out across the world for his specialist knowledge and inspirational delivery. 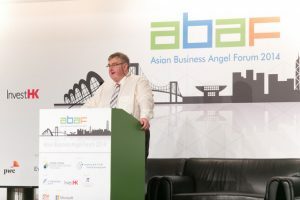 Nelson has been a key note speaker at Angel Investment Conferences around the world. He also speaks on Setting up & Running Business Angel Groups & Networks, Economic Development in specific regional bases; Investment Funding and Managing Companies. If you would like to talk to Nelson about engaging him for a conference or other speaking event, please do get in touch by completing your details on the contact page. Haiti – Dominica Bi National Angel Encounter, June 2017, Effective Valuation and Due Diligence. Council for American States in Europe (CASE), Doing Business in the USA Master Class, June 2017.